Stand Up Zipper Pouches continue to be the most popular packaging option on the market; due to their popularity, different styles and options continue to improve on an already great packaging option. Store Flat/Stand When Filled — These bags start flat, making them easy to store. But, the moment you put anything in them, they are able to stand on their own, making them great for retail displays. Merchandising — These bags take up less space on store shelves. They allow retailers to stock shelves with more items and when prominently displayed these products, in zipper pouch bags, can capture people’s attention. Protection & Barrier — We carry several zipper pouch varieties that contain different barrier properties. From scent and odor barriers to light and moisture barriers, we have many options. Re-usable – Stand up zipper pouches are also popular with consumers because they are re-sealable (great for foods and coffees), easy to store in cabinets and closets, and they're extremely durable. Metallized Stand Up Zipper Pouch with Window – These unique bags offer a higher barrier than standard Stand Up Zipper Pouches with Windows because they are metallized. We have a new process that allows us to improve the barrier properties of these bags while still offering a view of what’s inside the bag. Box Bottom Quad-Seal Zipper Pouches - Similar to stand up zipper pouches, but with a unique style that mimics a box and bag, our Box Bottom Quad Seals Zipper Pouches have a metallized barrier, box bottom, and a clear rectangular window on the front. They are able to stand up by themselves, even before being filled, and have a zip closure that seals the bag once you're done. They are a durable bag that is ideal for retail displays. Coffee Bags - Our highest barrier bags that include a layer of Aluminum film, these box bottom 4-sided gusset bags are ideal for coffee, tea, and other products that require a strong barrier to protect against oxygen and moisture. They come with an optional one-way degassing valve. Retail Handle Bags, Poly Flat Bags (PE & PP), Retail Clear Poly Handle Bags, Poly Side Gusset Bags, Heavy Duty Square Bottom Bags, and Clear Poly Tubing. Please note, discounts only apply to stock items; they do not apply to custom orders. Discounts cannot be combined. 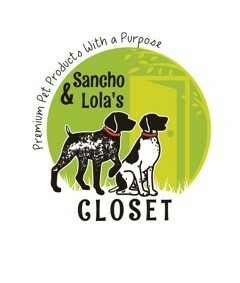 Sancho and Lola's Closet is a line of premium pet treats committed to supporting dog rescue organizations. Founder, President, Lynette Cano-Aguirre was inspired to start this company after rescuing her two German Shorthair Pointers from Texas GSP Rescue. Lynette’s main focus is providing the highest quality dog treats from U.S. grass-fed beef. Along with the high quality products they offer, they also donate a percentage of their profits to dog rescue organizations in an effort to give every dog a “forever home”. ClearBags is proud to have worked with Sancho and Lola’s Closet over the last few months designing a custom stand up zipper pouch to protect and better retail their premium dog treats. Check them out at sanchoandlola.com. 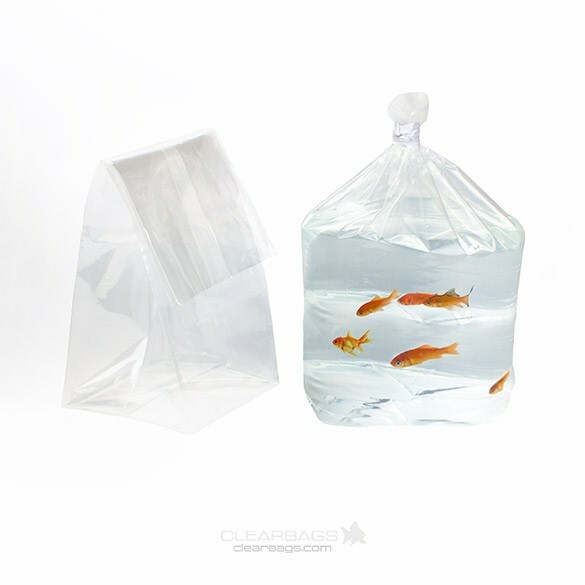 Ideal for ornamental fish transport and other uses where waterproof bags are needed.